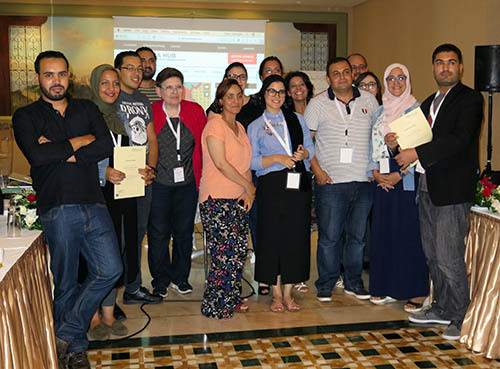 Journalists wishing to hone their skills on the issues of migration, refugees and human trafficking may take Media Unlimited director Magda Abu-Fadil’s online Open Media Hub course in English and Arabic. 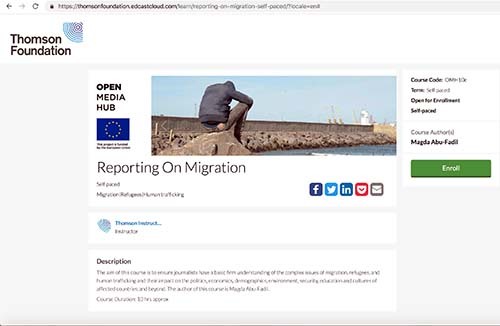 The free, self-paced interactive “Reporting on Migration” course is divided into an introduction, three modules, and a wrap-up. 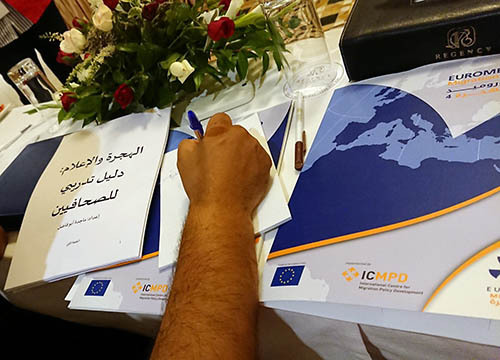 Module 1 focuses on migration terminology, key international organizations and NGOs involved in the issue. There’s a section on international and national legislation on migration. Participants are tested on what they’ve learned. 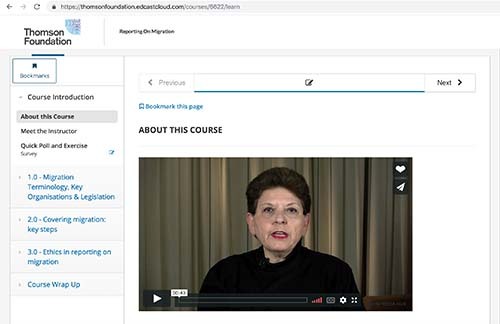 In module 2, participants learn the key steps to covering the migration story: research, data analysis, interviews, choosing visuals, the economics of migration, and, are shown case studies of good and bad reporting. They’re tested on what they’ve learned at the end of the module. 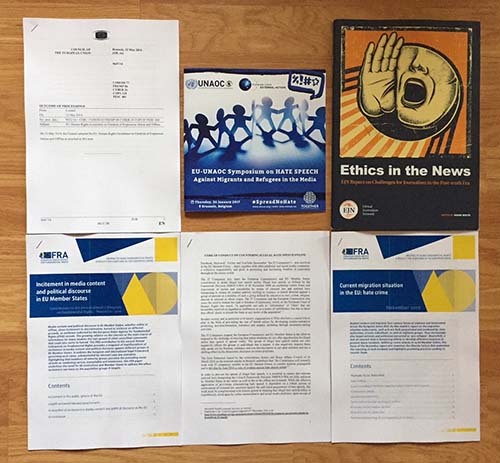 Module 3 aims at ethics in reporting on migration with an emphasis on humanizing the story. 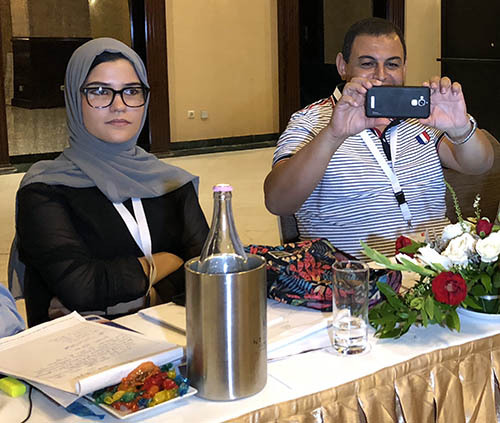 Participants are taught the importance of verification and contextualization, the ethical use of photos and videos and their impact, obtaining consent before using people’s information and visuals, covering celebrities, and activism. Participants are tested on what they’ve learned at the end of the module. The wrap-up consists of a final knowledge quiz, a summary and a list of further reading. Open Media Hub falls under the Thomson Foundation umbrella and is funded by the European Union. Choosing and publishing images of refugees, migrants and people in distress is both painful and difficult, notably when they’re graphic and reach various audiences across multiple media platforms in record time. 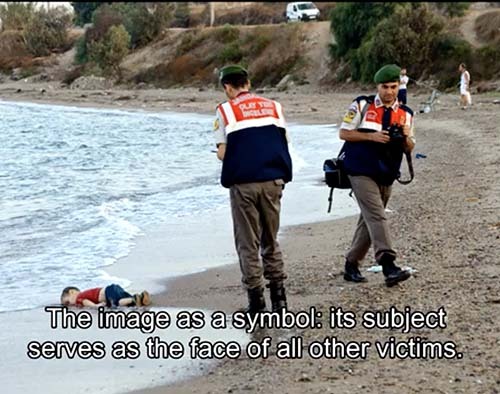 Weighty decisions may lead to photos becoming icons and symbols representing all other victims as that of Aylan Kurdi, the Syrian toddler lying face down on a Turkish beach in 2015 that went viral in just three hours. 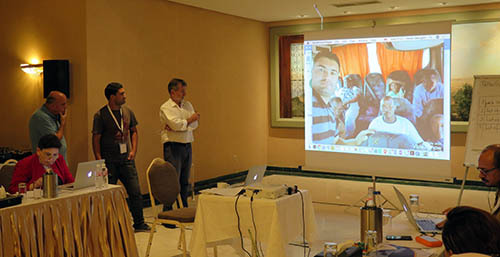 Media Unlimited director Magda Abu-Fadil discussed the ethical implications and how such pictures can also be (mis)used by politicians to score points and advance their own agendas. 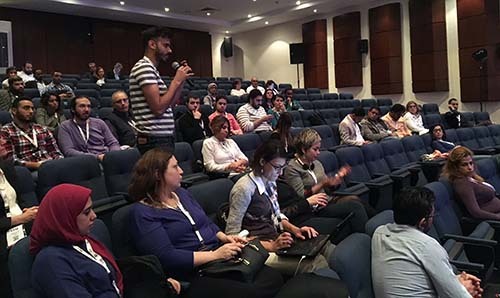 The topic made for an animated discussion during “Movie Night” hosted by the Ethical Journalism Network (EJN) at the December 2017 Arab Reporters for Investigative Journalism’s (ARIJ) annual conference in which she participated as a panelist. 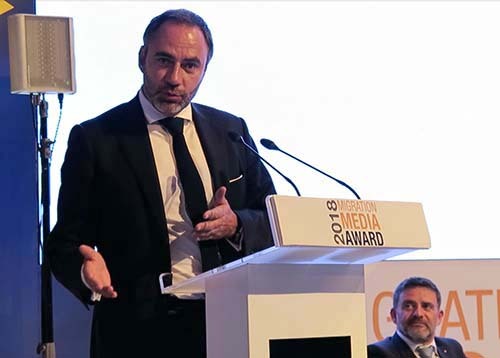 The movie in question was “A Sea of Images,” a documentary on how media tackle migrants and refugees from the Middle East and Africa fleeing their troubled lands in a perilous journey across the Mediterranean Sea to Europe. 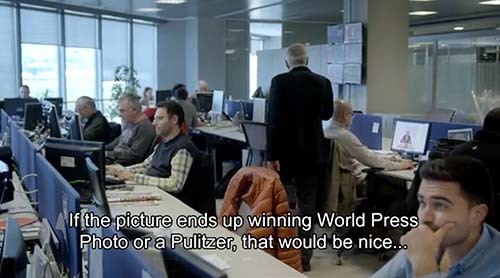 The film, produced by Misja Pekel and Maud van de Reijt, is part of a series for Dutch public television that examined the connection between media and public opinion. Refugee fatigue, she argued in the discussion following the film’s showing, can affect journalists’ and editors’ judgment in their choice and dissemination of images, with ethics falling by the wayside. 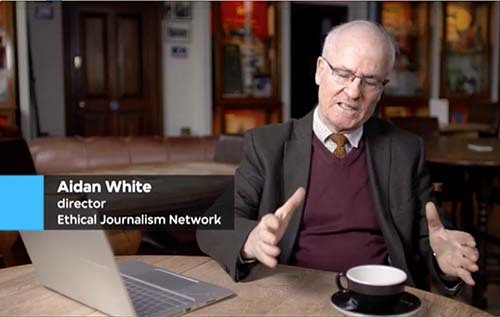 Aidan White, veteran journalist and director of the Ethical Journalism Network, said three of the Aylan Kurdi pictures were published around the world, but photos could be used in different ways to tell different narratives. “What that reveals, is that although the pictures are dramatic and important, in the end it’s the context in which the pictures are used by journalists,” White explained. 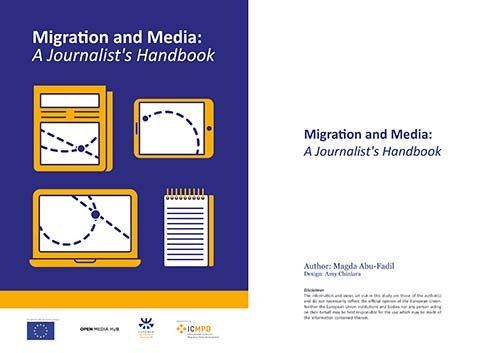 The ethical use of images depicting migrants, refugees and vulnerable people in the media, and what impact they have on public policy, will continue to trigger debate so long as conflicts, economic and natural disasters cause massive population displacement. 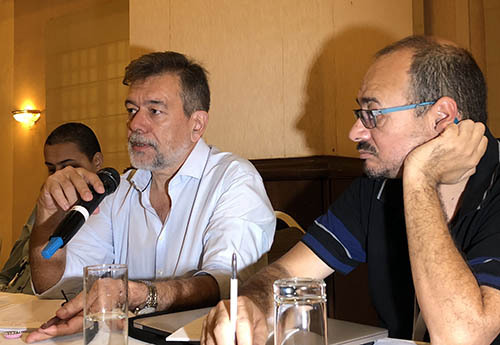 Media Unlimited director Magda Abu-Fadil told the Open Media Hub over-stretched and underpaid Lebanese journalists find covering the migration and refugee story challenging. 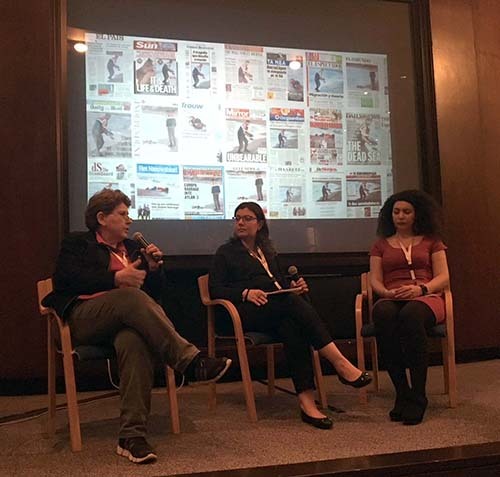 “Journalists quite often have too much on their plate…they don’t have a regular beat called migration or refugee problems,” she said of reporters having to cover several different stories on a given day. 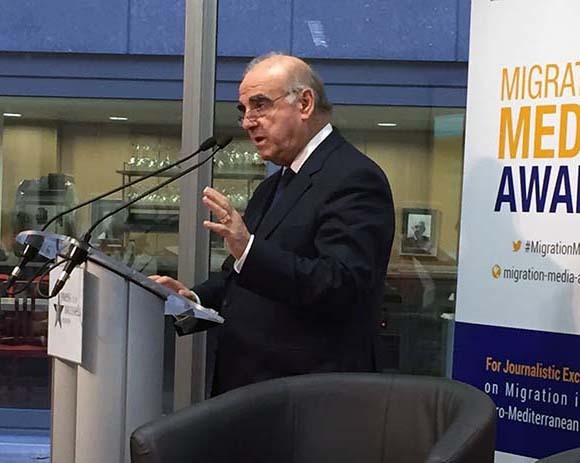 She was interviewed about the challenges of reporting on migration at the launch of the 2017 Migration Media Award, on which she served as a member of the jury. 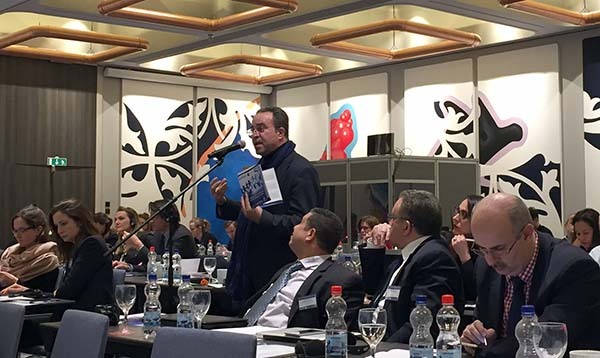 News of a U.S. travel ban on citizens from mostly Muslim countries, revved-up populist rhetoric and anti-migrant/refugee campaigns snowballed as an international symposium tagged #SpreadNoHate offered an opposing scenario with recommendations to fight the venom. 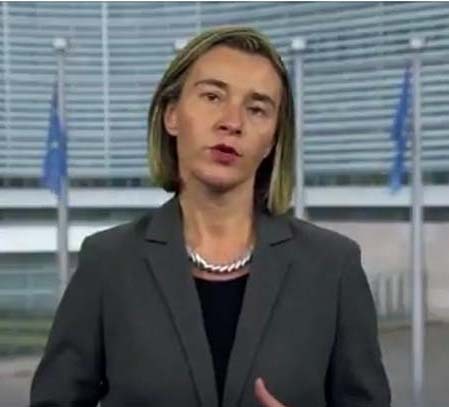 Mogherini, the High Representative of the Union for Foreign Affairs and Security Policy and Vice President of the European Commission, told conferees in a video message that the rise of hate speech was a global phenomenon requiring global awareness and local mobilization. 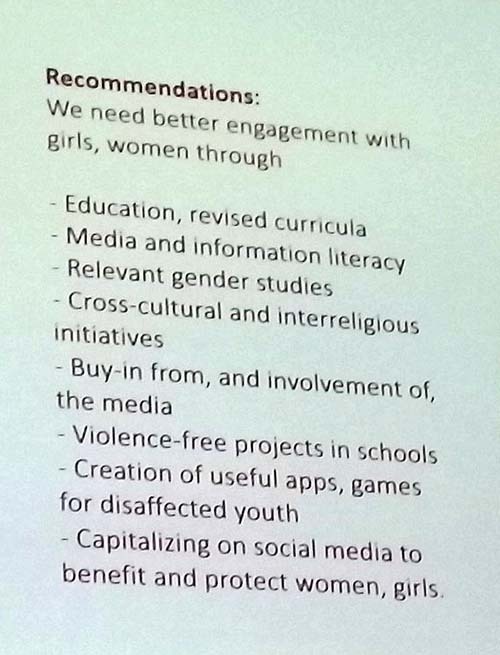 Media Unlimited director Magda Abu-Fadil moderated the first session and asked if media and information literacy could mitigate the damage of hate speech and if so, how? She also stirred the debate pot by wondering whether governments, Internet service providers, and social media should control the message, if legacy media should be restrained in what they publish once offensive content has gone viral on social media, and, who else was to blame for fanning the flames of populism. 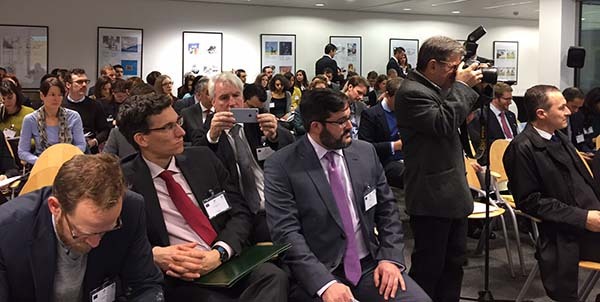 The event organized by the European Union External Action and United Nations Alliance of Civilizations (UNAOC) focused on hate speech against migrants and refugees in the media and grouped experts, journalists, academics, government officials and members of NGOs from across the globe. 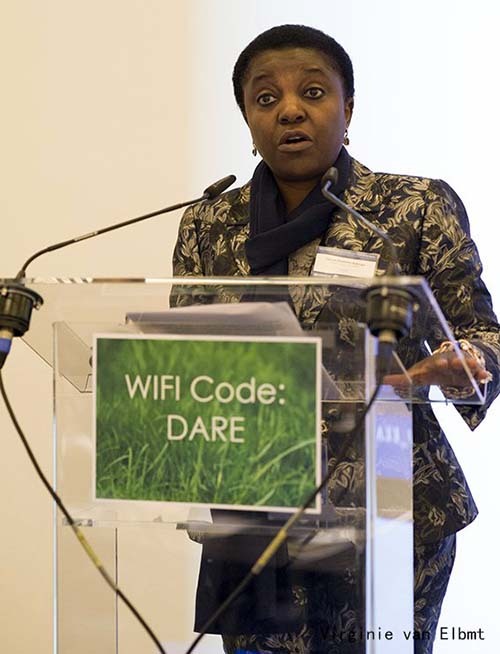 “Hate speech is a violation of freedom of expression,” noted Cécile Kyenge, a member of the European Parliament and a former minister of integration in Italy, adding that that freedom was a pillar of all democratic societies. Kyenge, an ophthalmologist who was born in the Congo, has experienced racism and hate speech first hand. A former government minister called her an orangutan and detractors tossed bananas at her while on a podium to speak, according media reports. 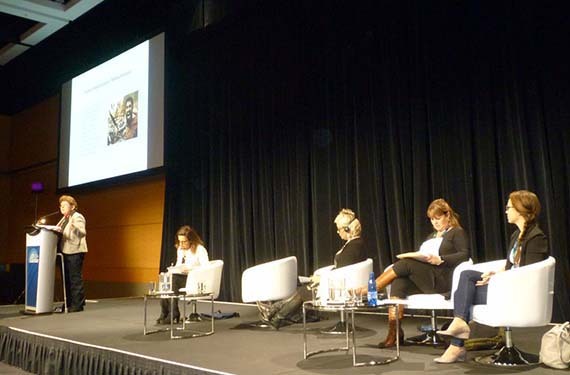 The UNAOC symposium was organized within the framework of its #SpreadNoHate initiative given the rising rhetoric of hate speech and incitement against migrants and refugees across Europe and elsewhere. The daylong event’s themes were: media and the rise of populism; triggers and mechanisms of hate speech against migrants and refugees; improving the quality of media coverage about migrants and refugees; promoting ethical journalism; strengthening partnerships between media and civil society to promote balanced narratives; and providing recommendations on next steps to sustain the initiative. 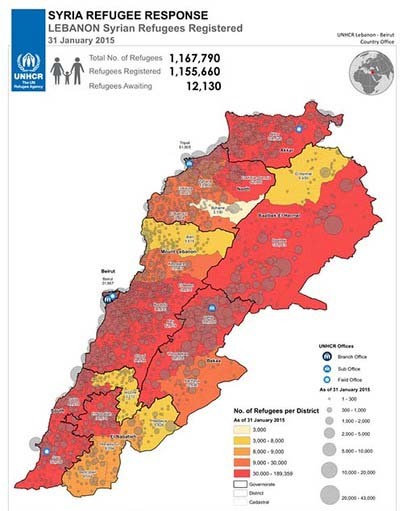 Arab media’s coverage of the migrant/refugee crisis has seesawed from humane to atrocious, with Lebanon providing case studies of how ethical reporting hasn’t always been a priority. 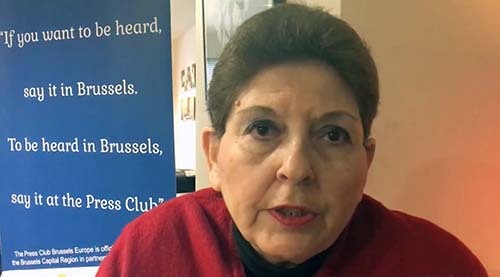 Media Unlimited director Magda Abu-Fadil spoke at the Brussels Press Club on the need for better training of journalists who cover this expanding beat, and for other stakeholders to learn how to communicate effectively about the issue. 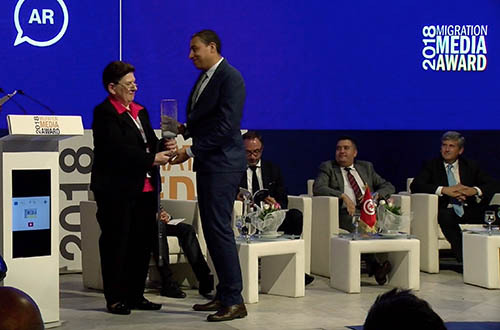 “Policymakers have to understand the news cycle,” and newsworthiness, and not flood already over-stretched journalists with jargon-filled releases and irrelevant material, she said at the event dubbed Towards a Balanced Narrative on Migration in the Mediterranean. 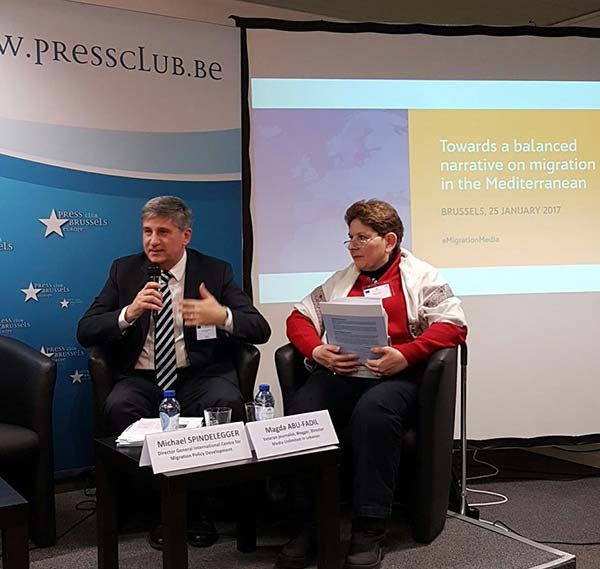 The one-day symposium in January 2017 organized by Euromed Migration IV, a program funded by the European Union and led by the EU Commission’s Directorate General for Neighborhood and Enlargement Negotiations, grouped some 100 policymakers and experts. 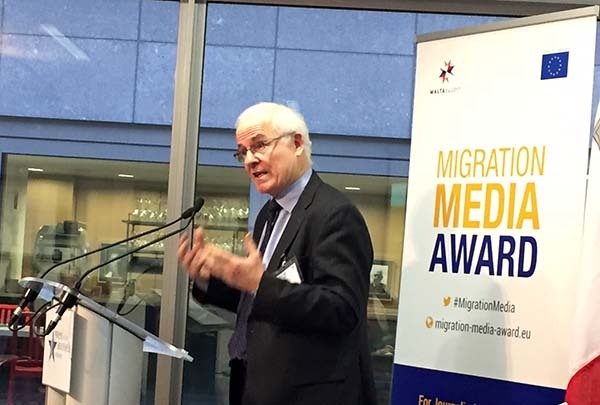 The event also saw the release of preliminary findings of the Ethical Journalism Network’s (EJN) 17-country study on migration in Europe, the Middle East and Africa. 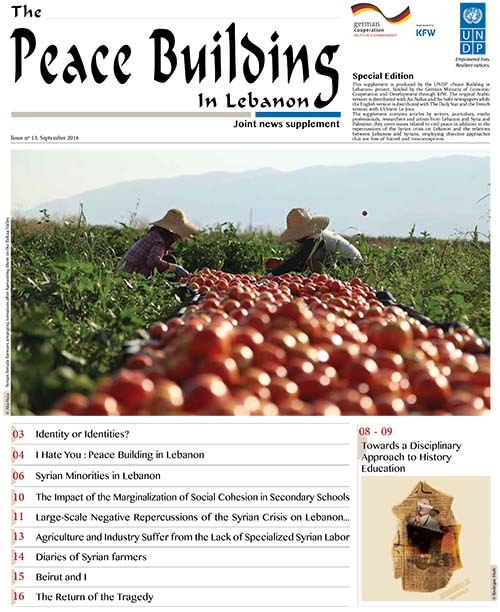 Abu-Fadil wrote the report’s Lebanon chapter. 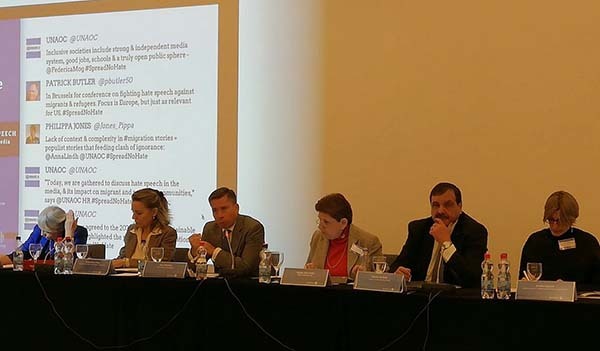 EJN director Aidan White presented initial findings and recommendations of the report commissioned by the International Center for Migration Policy Development. 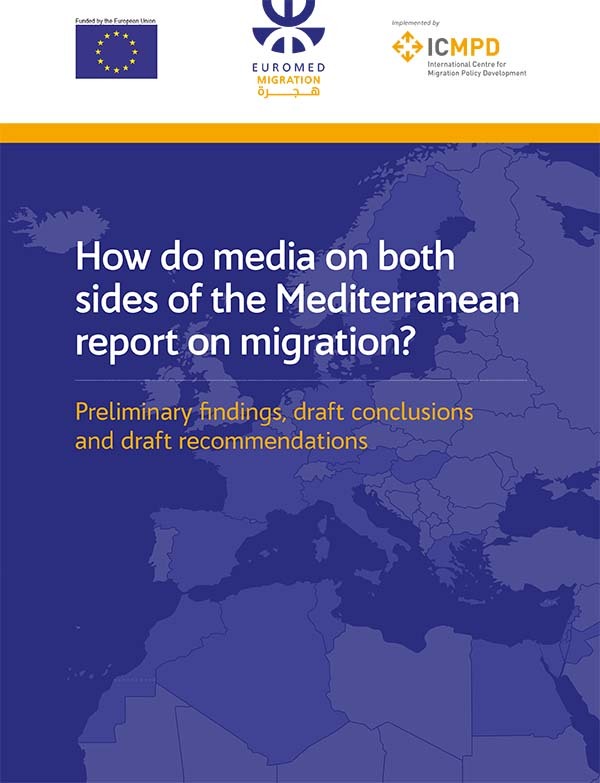 The study reveals how journalism in the countries surveyed is a distorting lens: a magnifying glass…exposing inhumanity and corruption in the way migrants are treated, and following an agenda triggering discrimination and hate to compound the suffering of migration victims. 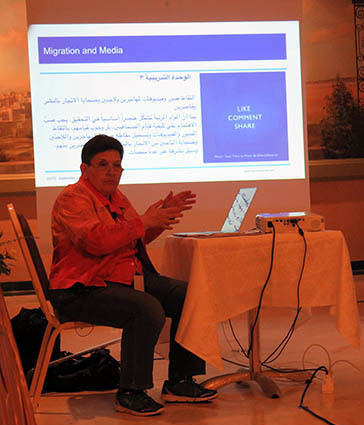 Media Unlimited director Magda Abu-Fadil spoke with Arab Media and Society, the magazine of the American University in Cairo, about how the migration crisis has been covered in Lebanese media and beyond, as well as issues of media ethics in the Arab world.